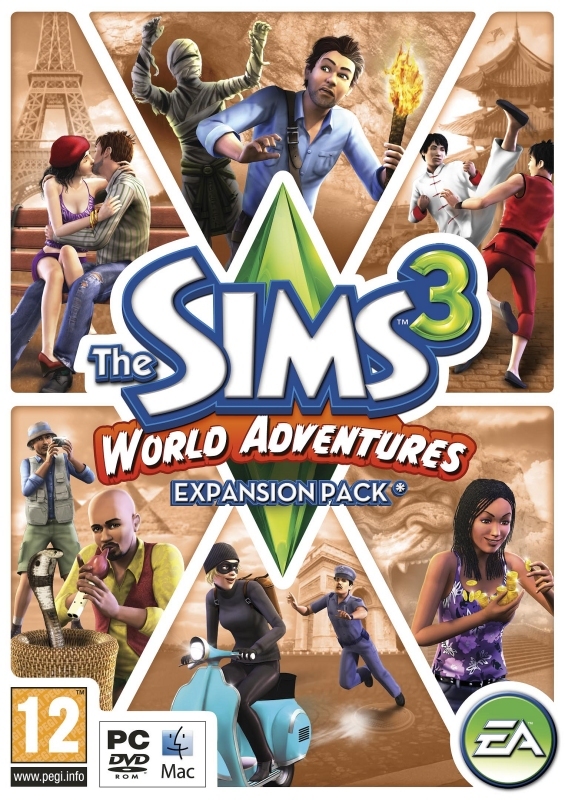 Take your Sims on the adventure of their lives with The Sims 3 World Adventures. Guide your Sims to acclaimed fortune—or potential doom. Take your Sims to exotic destinations to hunt for hidden treasures. Uncover new skills, experience new personality traits and garner rewards, if your Sims succeed. Explore ancient tombs in the pyramids of Egypt, master martial arts in the Far East, and discover rich culture and famous landmarks of France. Adventure is on the horizon — what will your Sims discover? • Accept challenges, find treasures, discover what’s lurking in hidden caves and more. • Explore famous landmarks in China, Egypt, and France. • Learn new skills like photography and pursue new opportunities. • Meet new Sims from exotic locations and share their cultures. • Customise your Sims homes with new styles & artefacts from their adventures. • Get 1000 SimPoints free for The Sims 3 Store, and additional online features to be announced.